Ms Falcone wrote for children’s television shows such as The Littlest Hobo and Nickelodeon’s Are You Afraid of the Dark? This lead into a career writing spine-tingling novels for children. 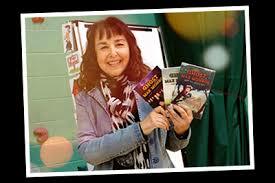 Her books include The Mysterious Mummer, Walking ... Continue reading "Author’s Visit on May 3rd – L.M. Falcone"